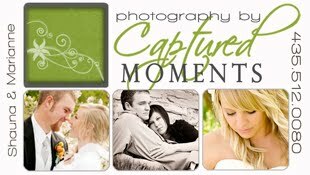 I usually get started on your invitation once you have the pictures back from your photographer. Please plan on 2-3 weeks for the design & printing process. Most clients send their invitations out 3-6 weeks before the wedding, it's your preference. Rush orders are available if needed. To order your invitations, please email me the detailed information below & give me a call. I love chatting with brides to get a feel for what you want. I do offer personal consultations in my home in Fielding, Utah if needed. To get started online, please fill out the applicable information below and email it to me. Will you need guests to RSVP to any events? If so, what is the contact information/date/menu/etc? Would you like to include accommodation information or a wedding website? Would you like to include the registry on the invitation or on a separate insert? If so, where are you registered? Wording - I can help you with your invitation wording from the info above or you can send me the exact wording that you want. Photos: I will need the high-res files from your photographer for designing & printing. I will not work with photos without a copyright release from the photographer. Please attach your favorite pictures in an email & send them to me. They will be big files, so you may have to send a few emails. Or you can send them through Dropbox or any other provider. I will be discussing the design & style with you shortly. Feel free to call me with any questions. I look forward to working with you soon!